FLUSHING, Queens -- Mets right-hander Jacob deGrom has been scratched from his scheduled start Sunday and is unlikely to pitch again this season because of an injury to the ulnar nerve in his right elbow. 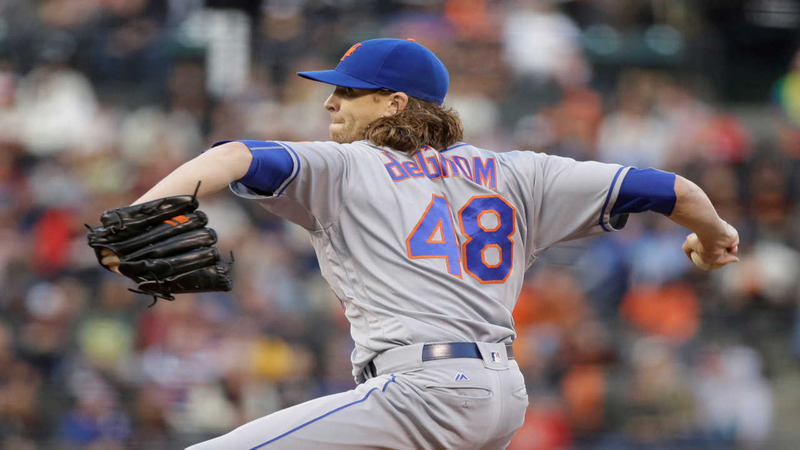 DeGrom has been out since Sept. 1 after experiencing elbow pain in a start against Miami. He felt fine while throwing a bullpen Friday, then had pain while lobbing a baseball in from the outfield during batting practice about 15 minutes later. General manager Sandy Alderson announced the injury Saturday. DeGrom will need surgery but the 2014 NL Rookie of the Year has not decided whether he will wait until the end of the season to have it. The recovery time for the surgery is expected to be three months. Gabriel Ynoa will start Sunday against Minnesota, and manager Terry Collins says he expects to use his bullpen to cover a lot of innings.